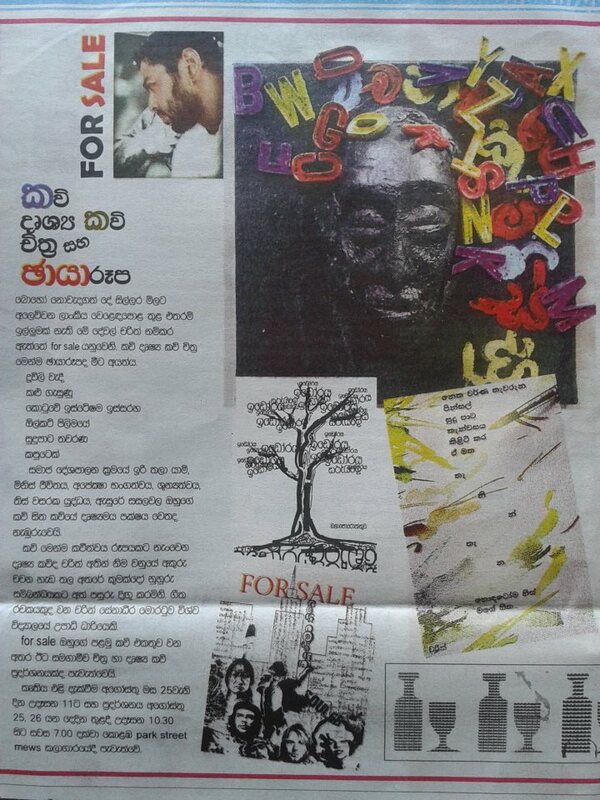 Charith Senadheera who is a member of our group is conducting an exhibition. 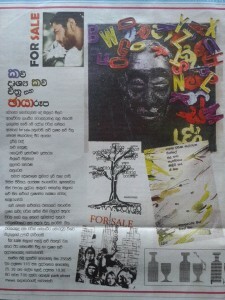 Charith’s first poetry compilation, titled ‘For Sale’ is scheduled to be launched on the 25th of August 2012 – 10.30 AM at the Park Street Mews gallery. A collaboration between Art and Text, ‘For Sale’ takes a fresh look at Poems and Visual Poetry. ← සංවේගයෙන් දැනුම් දීමයි !